Exercise 8, Assignment 4, Tungsten and Flourescent light. The aim of this exercise is to show the colours created with different light settings. In the below images I have chosen a scene in a shop and a house scene both using Tungsten light. The light in the bedroom shot is much more orange to the eye and the camera where as the light in the shop is not quite as orange. Both scenes are shot as dusk approaches and the light inside is approximately the same level of light as the exterior. By combining these two types of light it also makes the dusk light appear very blue in comparison to the tungsten and the combination of warm and cool can be pleasing. In both scenes I have taken a shot with the settings at Daylight, Tungsten and Auto. The daylight shot shows the true orange nature of the light and can be overwhelming. The Auto adjusts it slightly and the image can seem less orange however it is the tungsten setting which in my opinion creates the best images it seems a more pleasant light and allows the blue light of the exterior to be seen. I also noted that by taking readings around this particular room which is lit only by Tungsten that the light reading varies greatly. When near the lamp or overhead bulb there is lots of light when you move away it can become quite dark. This is noticable in the room when you try to read there is only enough light while near the lamp. This is not the case with white light where the light seems to disperse more evenly. Next step showing Fluorescent light. The above pictures taken inside a shopping centre. The first is with Automatic white balance the second with fluorescent correction. 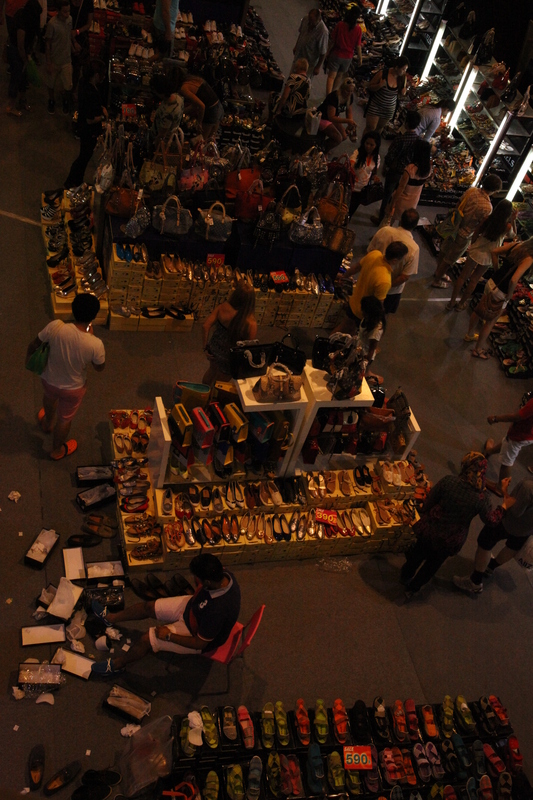 I liked this shot with all the shoes and how the people seemed so small almost like a dolls house. 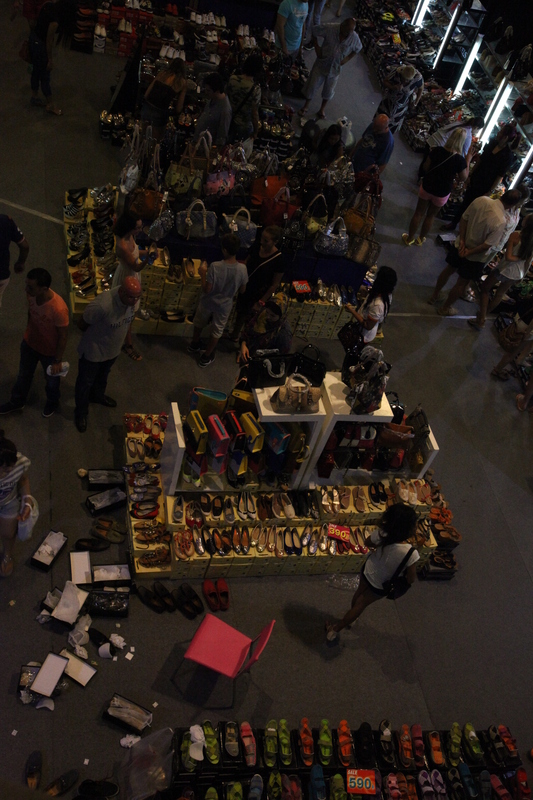 I also liked how there was chaos particularly where there is a person trying on shoes with all the boxes open around him. However the exercise is light and altough it is not easy to find fluorescent as many places seem to use white light which are environmentally friendly these days. This shot however shows an unsatisfactory colour it is not attractive in either form. See also article on Colour Temperature.